Sesame Seeds is what we call Ellu in Tamil.There are two types of Sesame seeds one in black and other in white.My mother used to use lot of black seeds in making ellu sadam or ellu urundai or in idli(dosai) chilli powder. 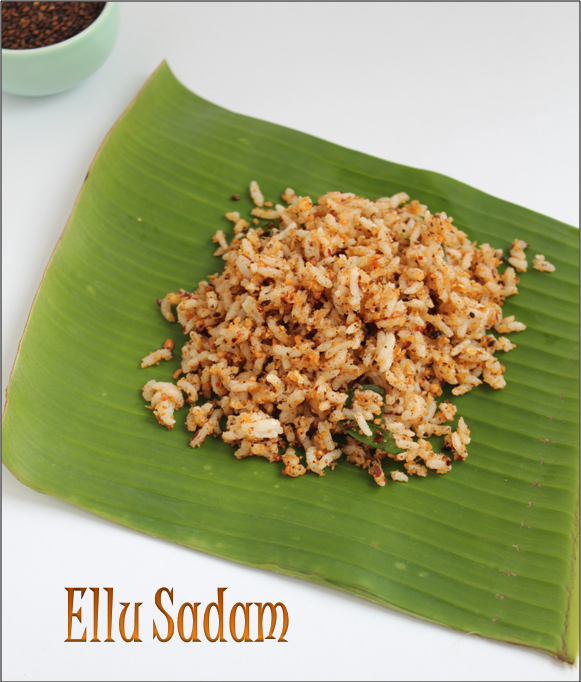 My mother used to make this rice on Saturdays of Tamil month(purattasi(sept15th-oct 15th)).It is a speciality neivedhayam for lord balaji(venkatajalapathy)along with paruppu payasam and ulundu vadai. 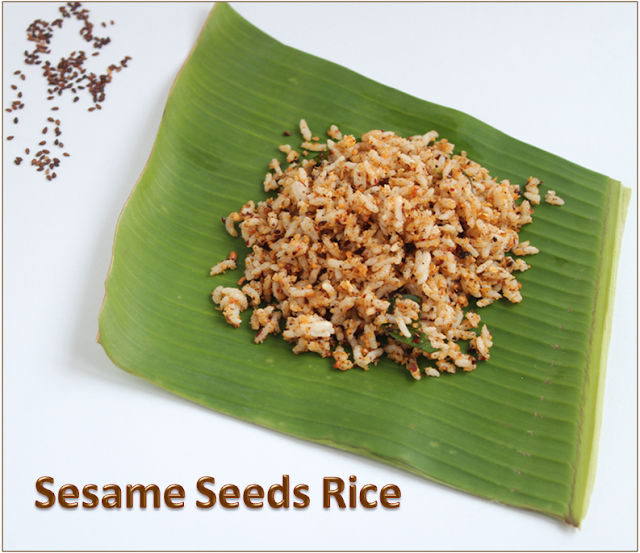 This rice is made when you fry the sesame seeds in some sesame oil along with red chillies,urad dal and channa dal.Then you powder it and mix it with cooked rice.When you fry the seeds you can hear a crackling noise!!!! 1.Roast the sesame seeds till you get a crackling sound and keep aside. 2.Roast urad dal,red chillies and channa dal till the dals become light brown. 3.Cool and blend in a mixer in to a coarse powder. 4.Healt oil in a pan crackle mustard seeds and add curry leaves and asafoetida. 5.Spread the cooked rice in the kadai and add the ground powder. 6.Mix genlty and add salt if required add a tsp of oil or ghee.